Being part of the scientific community in Second Life means being part of a virtual world of wonder and education. Great minds have used this grid for many remarkable projects ranging from nanotechnology to outer space, and many points inbetween. 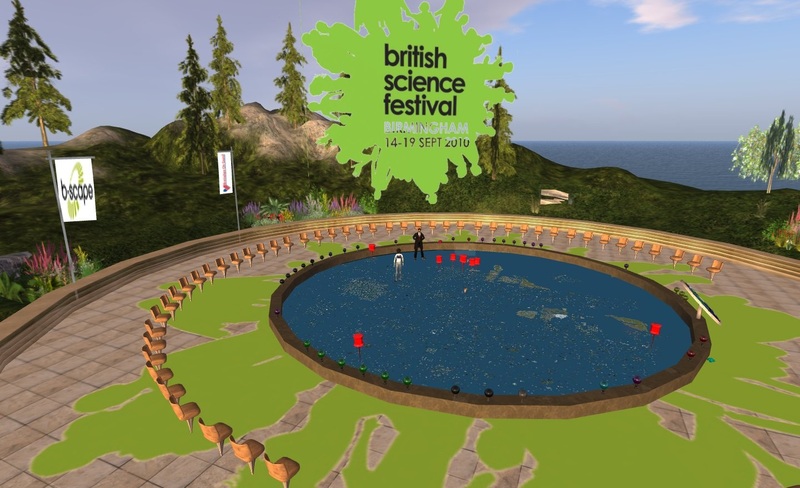 The 1st Question has been recognized as a contributor in this field and it is with great pride, we present the British Science Festival listings with our inclusion. Please if you can, see many of the amazing builds during this period of the 14th to the 19th September. And scroll down to see the show! Visit Birmingham Island in Secood Life.